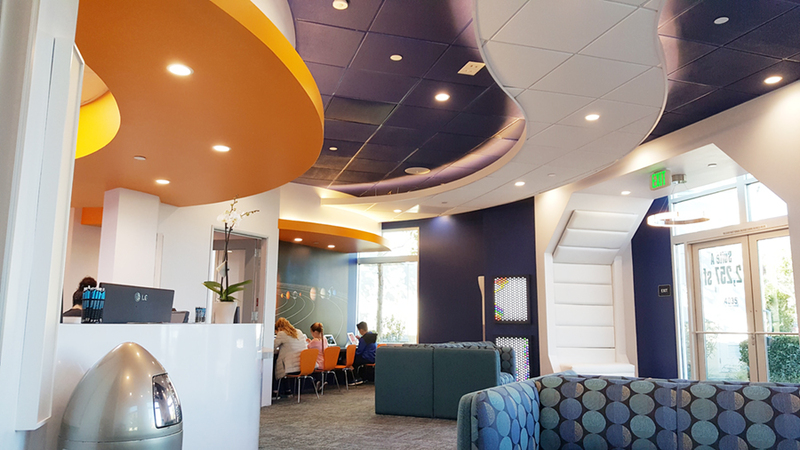 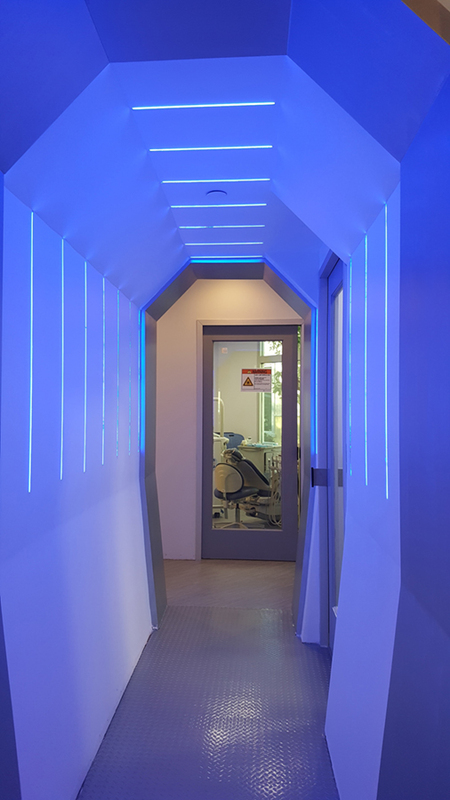 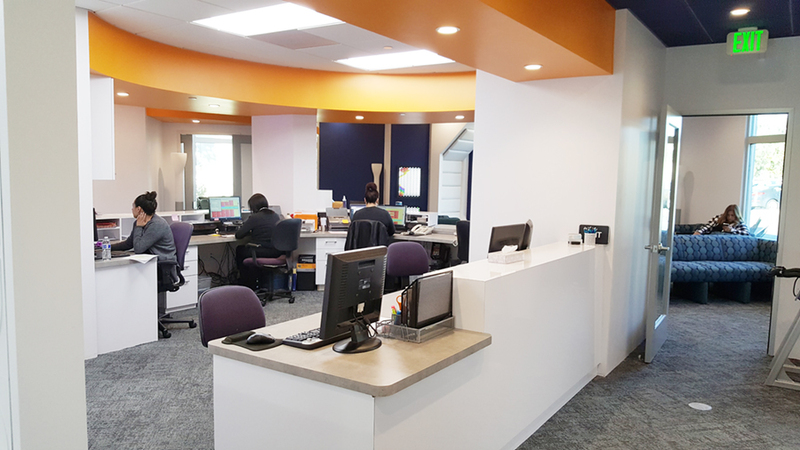 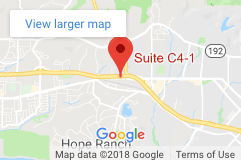 This brand new 4,222 sq ft office for the Camarillo Childrens Dental Clinic has been specifically designed to capture the imagination of their young patients by simulating the interior of a space ship since the company’s logo contains a Rocket shooting through the stars. 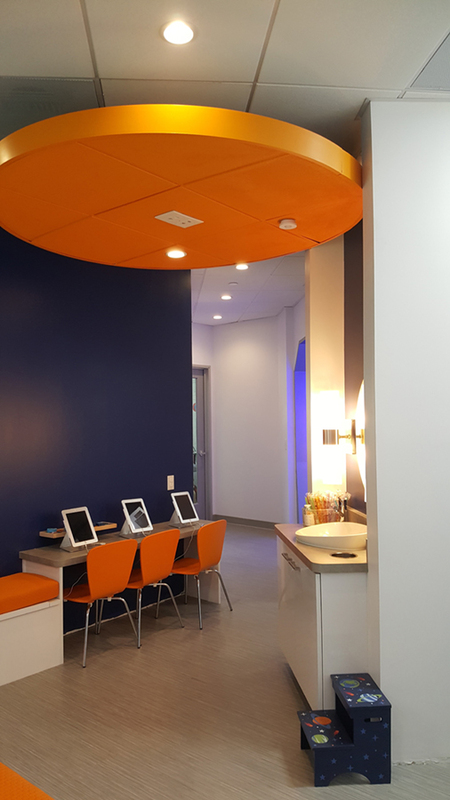 The bright orange paint on the soffits, the deep blue ceiling tiles and accent wall colors and the bright blue LED hallway provide the impression that the children are going into the space ship. 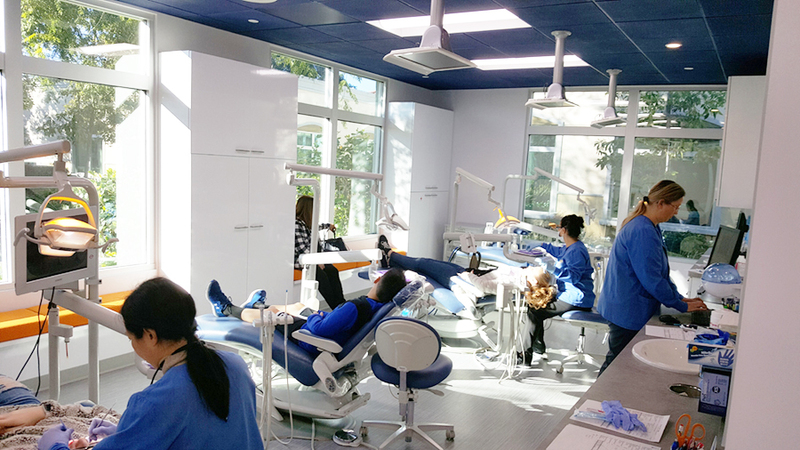 The clinic provides pediatric and orthodontic services for children of all ages. 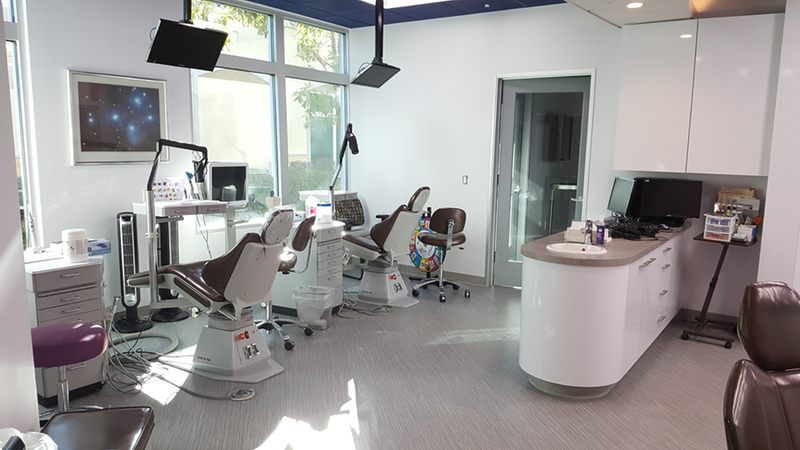 On the pediatric side of the practice are 4 dental chairs for general dentistry and an additional specialty room with two chairs setup for laser dentistry. 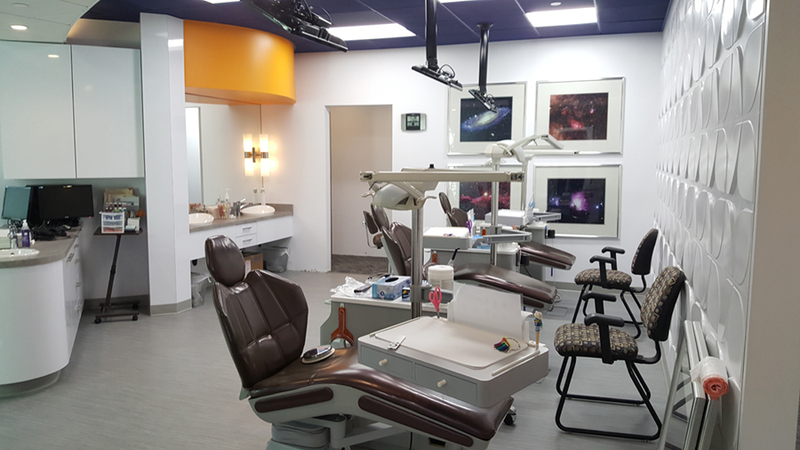 The Orthodontics side of the clinic contains 6 dental chairs for adjustments of braces. 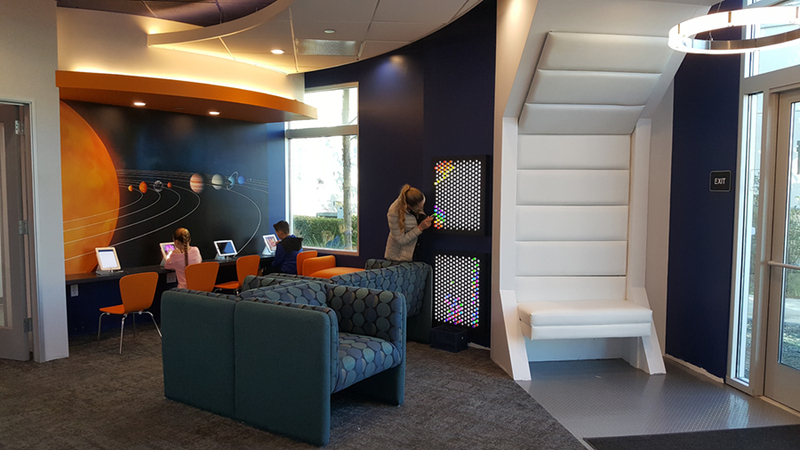 In the waiting area there are four childrens’ computer gaming stations digital games focused on creating good dental health and habits in the children. 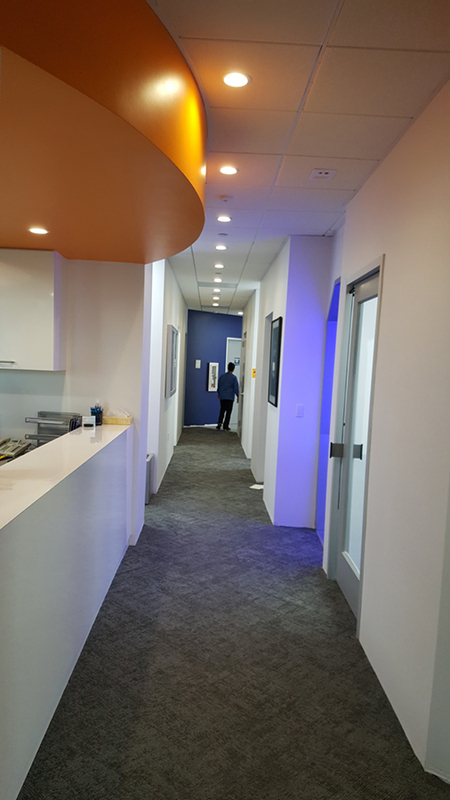 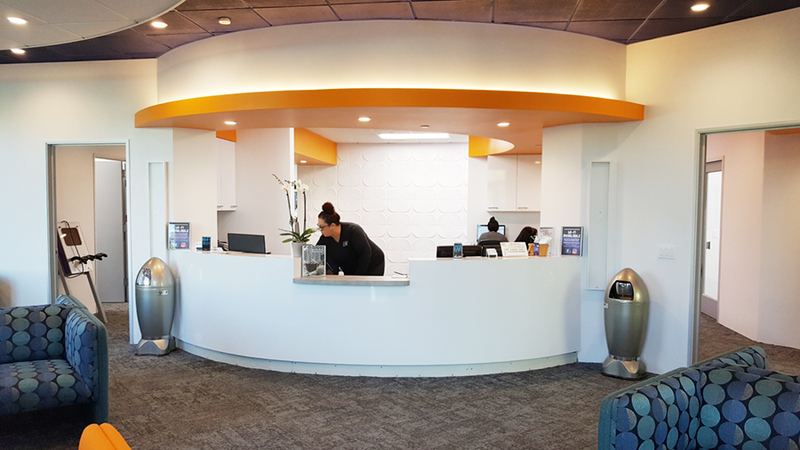 The open counter to the reception area is very inviting for their patients and the light and airy design provides a very uplifting atmosphere for the patients and staff.